Zapped! Speedway and Bacon gave me a T-t-tick! Discussion in 'Pin Zaps & Swaps' started by MerlinEmrys, Jul 13, 2018. So I've been exhausted and just sorta blah. But I recently got some delightful mail that put me in a much better mood! Awwwww! Thank you guys! This was just the thing I needed to perk me up! I can't wait to add him to the case. :3 Thank you @speedwaystar1 for another wonderful addition! 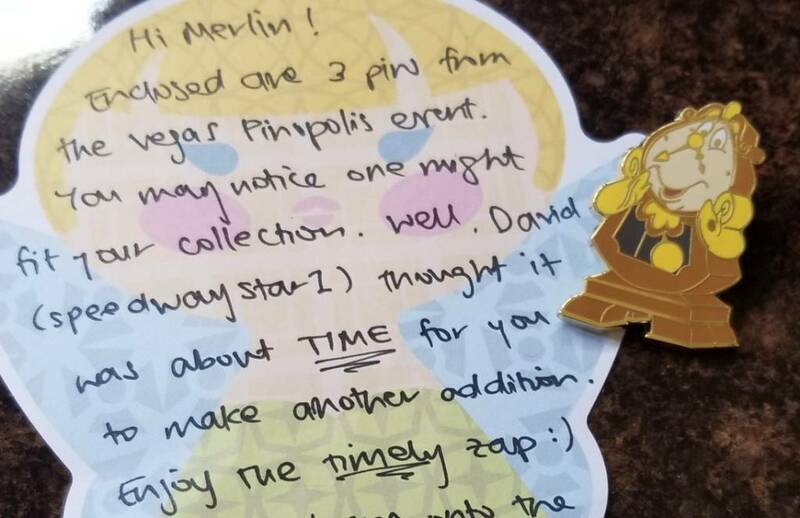 (this marks a few Cogsy pins from you!!) and thank you Erin for facilitating :3 I super duper appreciate it! Now I'm ready to take on the world!! NutMeg, Booger1964, watzshakinbacon and 4 others like this. Congrats! What a great pick-me-up! Congrats on the zap. Great job, David and Erin. NutMeg and MerlinEmrys like this. Just dial me up next time.